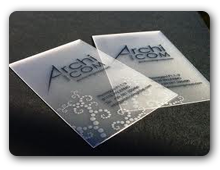 I.D.Tech is a manufacturer and supplier of Transparent and Translucent cards. Our unique transparent cards and translucent cards give you an edge over other regular run-of-the-mill plastic cards with their unique and attractive appearance and help our clients stand out from their competitors. It's new and innovative. The Transparent and Translucent cards come in various form factors and can be customized to suit your requirement and preferences. ID Tech provides litho printing on Plastic Cards with frosted cards, transparent cards, translucent cards, and clear plastic cards. Clear cards gained popularity due to the kinds of special effects that are incorporated into the design.